Over the past few weeks, there has been a lot of discussion among Singaporeans on the issue of xenophobia. 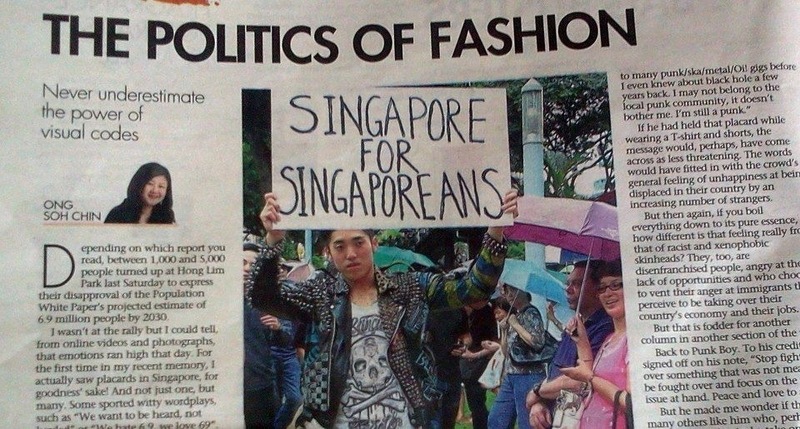 Some believe that there is no xenophobic sentiments in Singapore, whereas some think that there are. Some believe that we shouldn’t label what’s going on as “xenophobia”. Yet, the discussion rages on, as different personalities have chimed into the discussion. There are some key questions that we need to ask. 1) Are Singaporeans indeed xenophobic, or rather, are there some Singaporeans who would discriminate irrationally? 2) What has happened that has led to the current situation? 3) And what do we need to do to move away from the current situation? Why Are People Xenophobic? Why Do People Discriminate? The truth is that there are some people in Singapore who would discriminate, and this is not unique to Singapore. Everywhere else in the world, there’s always a group of people who would discriminate. So, in Singapore, before Singaporeans had discriminated against foreigners on this wider scale, there were other populations who were discriminated against, such as against races and other sexual identities, such as gay people. We’ve seen in recent years how the police has arrested people for speaking up on issues pertaining to race. The question to ask is – why do people discriminate? There are many theories and explanations, some of which are that people discriminate because they fear, and most of the time, they fear because they do not have a good understanding of something, or they might simply be reacting to their own insecurities. So, when there were some people who had spoken up against the wedding practices of another race, it’s because there weren’t familiar with the practice of another race, and when they are in the midst of doing something in their own homes, instead of taking the time to go down to the wedding, and finding out what’s actually happening, and celebrating with the wedding couple, a person might choose to look at things from his or her own perspective, and believe think that the wedding is a disturbance. But what’s really happening? We simply don’t understand the practices of others well enough and are unwilling to find out more about what the other person is doing, and when we judge them according to our point-of-view, without looking at things from their point-of-view, we will take on a biased perspective. In order for us not to discriminate, we can reach out to learn more and understand more about another so that with that understanding, we won’t be biased in our attitudes. Resentment Towards Foreigners or Bad Government Policies? In the current debate about Singaporeans vs foreigners, it’s a similar issue where Singaporeans are reacting to their fears. In the past, the fears arose because our wages were being depressed or not rising as quickly as inflation, prices such as property prices were increasing, places became more crowded and we decided to attribute all these to foreigners. Truth is, it is true that as foreigners were coming in, wages became depressed, property prices increased and places became more crowded. But I would like you to take a step back and reconsider – if the government had enacted adequate policies to prevent businesses from paying low wages, would wages have been depressed? If the government has enacted policies to prevent housing prices from shooting up, would housing prices have shot up? If the government had enacted policies to calibrate the increase of the population in Singapore, would we feel over-crowding? Let’s not even look at foreigners. How many Singaporeans took advantage of the rising housing prices and invested in homes to earn a quick buck as well? Before we point at foreigners, did we even look at ourselves at pointed at ourselves? Some of us might then argue, but not all Singaporeans had done that. Only the rich did. Well, then perhaps we can go on and on, and keep finding scapegoats for our own displeasure. First, we need to understand why we discriminate. We discriminate because we fear that we are unable to continue having a balanced livelihood and because we feel that our lives might be threatened. And we’ve learnt to attribute our fear to what seems to be the most obvious cause – people, and more specifically, we’ve learnt to think of these ‘people’ as the foreigners. But as I’ve explained, this isn’t a specific issue about foreigners. It’s a complex issue about wages, prices, over-crowding, and ultimately, where do all these issues point to? Or rather, what’s their common root problem? Bad government policies. Why Do We Choose to Be Upset with Foreigners Rather Than On Government Policies? I’ve been trying to reinforce this point several times. However it hasn’t gotten into people. Why? It’s simply easier to direct your anger at a person, rather than a broader idea such as the policies or the government. If you direct your unhappiness at a person, it feels that it’s easier to resolve the ‘problem’. And so, people are asking Li Yeming to de repatriated because they claim that he is inciting xenophobic sentiments in Singapore. It’s very easy to ask someone to leave. Then we can also ask the many Singaporeans who have invested in properties to also leave. And then what? After Li Yeming, who should we turn to? Gilbert Goh (the organizer of the protest against the population white paper)? I read this morning about an article which claims that Gilbert has taken on many ideologies before, some against and some favourable towards foreigners, and had aimed to discredit him. I do not know how much of the information is true. But do you see what we are doing? We are picking on one person after another. It’s always a person. Why don’t we dare take on the larger challenges? Why is it, when we know it’s governmental policies that are problematic and the government in itself that needs to reform itself politically, do we yet refuse to take on the larger, more pertinent problem? Why do we continue to target individuals, who, let’s be honest, are only pawns on a chessboard game. Do you think Li Yeming had criticized Mr Low Thia Kiang on his own accord? Do you think that he could possibly frame his arguments all by himself? He’s not acting on his own, but like The Straits Times, he has become a mouthpiece, and he is only sprouting what he had been told to, with guidance by the powers may be. And this is a clever strategy, because in the event that whatever he says backfires, as it has now, it only backfires on him. No one else needs to take the flak for it. So Li Yeming has also become the scapegoat. And we need to be very clear. Why are we wasting our energies on a scapegoat? Why do we not direct it at the perpetrator? 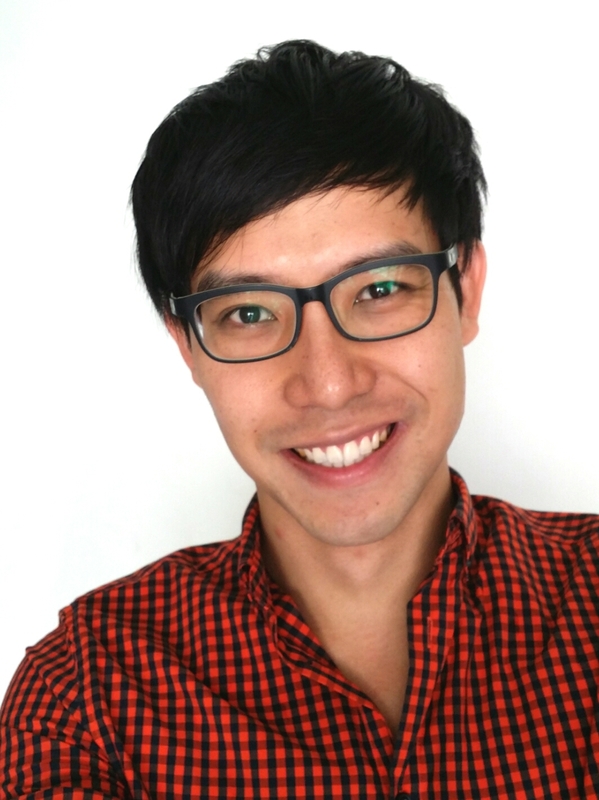 Like an American president, Eleanor Roosevelt, had said before, “Great minds discuss ideas; average minds discuss events; small minds discuss people.” Right now, many Singaporeans are discussing the people – Li Yeming and Ong Soh Chin, who wrote an article about the ‘Punk Boy’ who she believes represents a “threatening” presence. But why do we focus ourselves on the people and chastise them? How different are we from them? How different are we from Li Yeming who had accused Mr Low Thia Kiang, or how different are we from Ong Soh Chin, who had labelled a fellow Singaporean as the ‘Punk Boy’? Are we not equally at fault for our own targeted responses at individuals? Let’s try to discuss ideas. What did Li Yeming say that we had disagreed with? Let’s have a debate with him. And even as we do so, we do not need to drag his character into the fray as well. We do not need to malign him, whilst having a debate. If we do, we are only playing to our own anger and displeasure. We are only holding on to our internal fears, and we are using our fears to respond to him. Which brings us back to our fears. In order to have a healthy debate with someone else about ideas and not about directing our anger at them, we need to understand our own fears. As I’ve explained, if you understand that you fear because you feel insecure, and if feel so because of lower wages, higher cost of living and over-crowding and if you understand that this is due to government policies, what action can you take? You can do two things. One, you can continue to get angry and fearful and direct your energies at blaming every foreigner that you see. Or two, you can decide to find ways to to resolve the issue, by speaking up against the government policies, by proposing alternative solutions, and by forming ourselves into groups to rally for change. Which is a more effective solution? What the population white paper has done was to bring to fore the unhappiness that is already present among Singaporeans, and actually, among foreigners as well. Many foreigners have as well come to Singapore with beliefs of a world-class city, where they can earn a better living from. Don’t we all have the same wants when we move to another country or city? Yet, the foreigners come, feeling entrapped in a place where the promises didn’t seem to live up to their expectations, where they feel the same pressures from over-crowding, and where they have to put up with the verbal tirade that Singaporeans throw at them. They are as well, like us, victims of bad government policies. Of course, you might say that they have a choice to move out, but like all of us do, we need to think about career progression. It’s not as simple as to say, let’s get out. Or what about the foreign workers who are lowly paid? How do we treat our maids? How do we treat the construction workers? Do we not similarly treat our maids with little respect and little freedoms? Do we not pay them low wages and expect them to do everything that we want from them? And when we are in a bad mood or stressed up at work, do we not also lash out at our maids? Why do we even complain about our government treating us badly when as employers, we don’t even have the basic decency to treat our employees and maids decently anyway? It’s not about xenophobia, really. It’s about discrimination and its about our inherent attitudes. What has happened is that we have made use of the white paper to bring our discriminatory attitudes to fore. We have used the white paper to legitimize our discrimination towards foreigners. We have used it as an excuse to be able to throw our attacks at foreigners, by framing it as an issue about how the foreigners will cause the population to balloon to 6.9 million. Let’s be honest with ourselves. Let’s look at our own attitudes. Why do we discriminate. And as I’ve described throughout this article, we fear for our security and livelihood and thus we’ve decided to turn our attention onto foreigners. But foreigners aren’t the problem. The government’s bad policies are. Where Is The PAP Leadership, Or Absence? In fact, during this episode, where is PAP and where is the government? After the protest, one after the other PAP member had decided to slight the protest and brush off its significance. Nary one PAP member is willing to address the issues brought out in the protest and perhaps, start to take note of the real concerns that a pool of Singaporeans had brought out. Sure, it might be only 5,000 people but aren’t they people living in Singapore as well? What does it say of a government which is willing to slight the viewpoints of 5,000 Singaporeans but would bend their backs backwards to a few business representatives? The PAP has not spoken out, to calm Singaporeans or to provide counterbalanced viewpoints about how we can understand foreigners in a different perspective, or to apologise for their missteps, and propose bold solutions to tackle the insecurities that Singaporeans have. Where is leadership when we need one? Where are leaders when we need them? Why is the PAP hiding in every hole that they can dig themselves into, rather than standing up and facing up to what they stand for? Why are the PAP members not being the leaders we’ve paid them millions to be? I’m very displeased because this is the PAP which has used a fear-based ideology to constraint the people’s minds, such that in times like this, people operate on fear and learn to hurl assaults at another, instead of calm down, reflect and think about how to deal with the situation better. This is the PAP which is happy allowing the people to fight among themselves, where they hide in their holes, not wanting to bring balance back into Singapore. As the patron of the Singapore Federation of Chinese Clan Associations, why hasn’t PM Lee Hsien Loong spoken to the association, to educate the members about the importance of achieving social balance in Singapore? And perhaps if he has indeed has, why is it then the tirade continues? We all know the tirade was meant to attack Mr Low Thia Kiang, to dent the credibility of the Worker’s Party. But why does PAP allow party politics to take precedence over the peace of Singapore? Which is more important in Singapore? For you and PAP to stay in power? Or for there to be balance and peace in Singapore? I’m very disappointed in this PAP-led government because as much as it claims to be on the side of the people, we all know by now that it’s only concerned about maintaining its power, and that it’s willing to go as far as to maintain its silence while the people let out at each other, all because if the people do not realise what the actual problem is, it saves them from the hassle of having to address the inherent problems. If there’s xenophobic attitudes in Singapore, and if there’s discrimination of any form in Singapore, PAP is, if not an instigator, a key player in allowing such discriminatory attitudes to be at play. And which is why I urge Singaporeans to understand what the main problems are. Why do we direct our anger at one another, when such anger cannot lead to any resolution? And so what if we ask one, or one thousand, or one million foreigners to go? Who will we turn to next? Singaporeans? 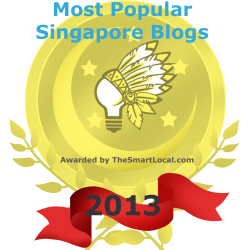 Minority Singaporeans? If we let our fears run amok and allow ourselves to be ruled by our fears, we are playing exactly into the hands of PAP who have used their fear-based ideology to manipulate us. Chris Ho had shared this on his Facebook today: “The smart way to keep people passive and obedient is to strictly limit the spectrum of acceptable opinion, but allow very lively debate within that spectrum….” — Noam Chomsky, The Common Good (courtesy of Black Orchid Syndicate [Singapore] on my FB wall). A pal, who used to work in the public media, points out that the quote says it all about the strategy used in Singapore. It’s completely accurate, he adds.” If you’ve noticed, this is exactly what PAP has been doing with the recent news. And we’ve played right into their hands. Singaporeans, we need to start looking at the issue clearly. We need to realise that we are showing anger and unhappiness at foreigners, and discriminating, because of our own internal fears and insecurities. Now, we need to cast that aside and understand what the real problem is – bad government policies. If this is the case, if we know that being upset with foreigners is only reacting to our own personal insecurities, we need to direct our energies to something more fruitful and effective, and come out with solutions and alternate policies which we will then rally the government to adopt. If there is a next protest, our aim should be to consolidate ourselves and to identify solutions and alternate policies which we will take the government to task on. We have to be very cognizant of how the government uses the media to sway our thoughts, and to entrench our fears and how they’ve chosen to stay by the side even as they need to take on a leadership role now. Some Singaporeans are starting to discuss about what the ways are that we can vote, to ensure that we vote for the government we want, at the next general election, and how when the next government is formed, that we can play our part by being part of the solution. This is what we need to do. We need to move away discussing our fears and impinging it on people. We need to move beyond, to understand the backdrop as to why things occur, and how we can direct our energies to thinking about ideas, and putting these ideas out as solutions, and finding ways to make our government hear them. This is a more sustainable and effective solution to turning things around for ourselves, and finding the balance that we want for ourselves.